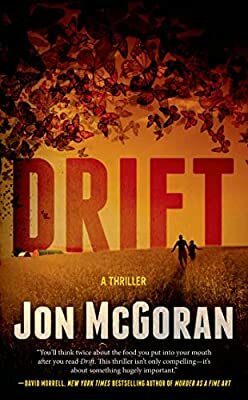 Dust Up by Jon McGoran (Forge, April 19th, 2016)-I read Drift and Deadout in one gulp and couldn’t wait to get to Dust Up. McGoran continues with his eco-thriller theme with vice cop Doyle Carrick and co., but this time, takes him all the way to Haiti and back. When Carrick and Nola are awakened by someone pounding on the door in the dead of night, surprise turns to shock when they hear gunshots and Carrick opens the door to the sight of a dead man on his porch. Sure, Carrick is a vice cop, but he’s never one to stand on the sidelines, and anyway, the homicide detective that catches the case is a moron. Luckily, he’s got at least one clue that might lead to the truth: he soon learns that the woman that he saw pealing away from the scene is actually the victim’s wife, and that Ron and Miriam Hartwell have stumbled on something explosive at a company called Energene. Ron had been seeking Carrick’s help since he’s taken down big companies before, and now Miriam is on the run. Carrick is nothing if not dogged, and he can’t resist helping someone that needs it. Soon he follows the bread crumbs to Haiti, where people have been getting sick. Worries about ebola abound, but it’s not that simple, and some very bad people will do whatever they need to do to make sure the truth doesn’t come to light. 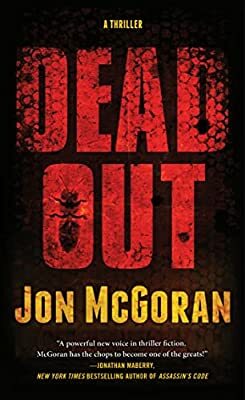 I love this series, and wasn’t sure how McGoran would top the first two, but he did: the danger is palpable, and some of the scenes in Haiti will make your skin crawl. And yet… Haiti is portrayed as it should be-a country in turmoil, yet a place of beauty. Carrick finds allies in some odd (yet useful) places, such as deputy health minister Regi Baudet, and a millionaire who delivers his own type of justice. Carrick also discovers that a blast from his recent past might be involved in a really, truly awful plan that sacrifices lives for no other reason than the bottom line. Don’t forget about Nola, who has figured heavily in each book, and has unique experience that makes her invaluable. She adores Carrick, and vice versa, and never hesitates to help, even if she finds out that Doyle is in Haiti without a passport, and she’s never “just the girlfriend.” If you like Nelson DeMille’s John Corey books, or Jonathan Maberry’s Joe Ledger series, you’ll love this. Carrick is smart, snarky, and steps in trouble whenever he can, and it’s a testament to the author that he keeps up a breakneck pace throughout (seriously, dare you not to read this in one sitting) without sacrificing the human element. I may have cried at one part. Don’t tell anyone. The ending to this one will mark a crossroads for Doyle, and I can’t wait to see what comes next. 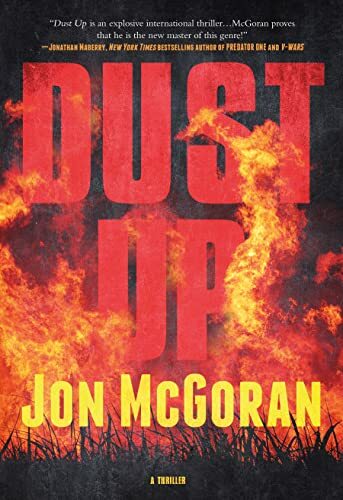 Dust Up, jon mcgoran, review.